The creation and development of a brand is integral to the success of any business. But with trust in brands at an all-time low, and with so many companies competing for customers, how can you build a brand that consumers will use with confidence? The first step towards building a successful business brand is to develop your own unique brand identity. It is branding that will allow you to stand out from your competitors and show your customers your unique character and value – what your product or service offers that no one else does. 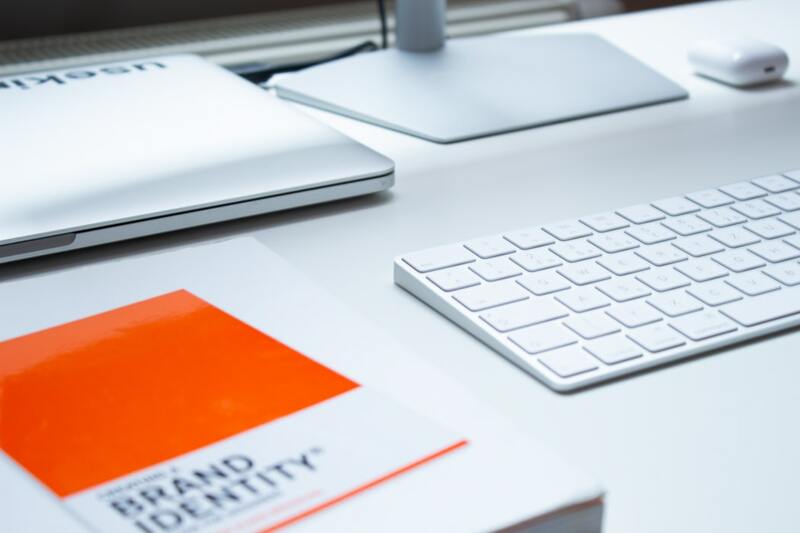 Branding not only refers to the design of your company’s logo, which we discuss later in this blog post, but encompasses everything to do with your public persona, from your social media presence to customer service and content creation. Creating a relationship with your audience through your unique brand is the key to a successful business. A 2017 report by MBLM on brand intimacy, which focuses on the emotional bond consumers have with brands, found that Apple, followed by Disney and Amazon, were the companies with the highest brand intimacy. Companies with high brand intimacy were found to generate more revenue and profits than those which did not cultivate an emotional bond with their customers. For more information on developing your own unique brand identity, check out this useful infographic on the power of branding. The next step towards building a successful business brand is innovation. When you are first starting out, it is tempting to look at the leaders in your industry or your competition to try and replicate their methods, and therefore their success. But in fact, it is innovation and disruption that consumers respond to, not playing it safe. In 2015, the Ketchum Innovation Kernel Study, a multi-country survey focusing on the importance of innovation as a brand attribute, found that 68% of consumers were willing to pay 21% more for a brand they considered innovative. More recently, in 2017 the annual Prophet Brand Relevance Index, which ranks more than 300 brands on their relevance, found that the top ranking brands engage in ‘disruptive innovation’, perpetually changing and evolving to stay relevant with consumers. Therefore, focus on what makes your business unique and valuable to your customers, and work on marketing and promoting your company as experts in a particular niche. Like Apple, Google, Netflix and other top brands, you should be working on meeting the changing needs of your customers, rather than focusing on your rivals, in order to succeed. Although innovation is important to create a successful business brand, it is also vital to keep your branding and content consistent. The ‘voice’ of your business has to remain consistent in order to develop trust between you and your customers. Recent research has concluded that consumer trust in brands is at an all-time low, meaning that businesses have to try even harder to present themselves as both authentic and reliable. This can be achieved in various ways, such as creating and maintaining a social media presence. Posting regularly on social media platforms and engaging with your customers will help give your company a reputation of approachability, transparency and honesty. Another way is to make your brand meaningful, working to improve the lives of your customers in a tangible way, as well as society in general. Your company logo is a third way to keep your brand consistent. A well-designed, minimalistic logo is more likely to be trusted by consumers, and also lends your business a professional authority. To learn more, see our blog post on designing the best logo for your brand. Part of keeping your brand voice consistent is communicating clearly and creatively to your customers. Social media, for example, is a perfect way to convey the intent and personality of your brand to an audience. However, this doesn’t mean you should attempt to have a presence on all the major social media platforms. Some platforms will be more useful to the growth of your business than others; for example Instagram is highly visual, and only worth investing time and money into if your product or service can be conveyed in a creative way through images. One trap that companies can fall into when creating content is over-promoting their business. To avoid this, stick to the 80/20 rule: 80% of your content should entertain or inform your audience, while only 20% should directly promote your business. Another way to cultivate a relationship with your customers through content is by starting a business blog. Research has indicated that brands that blog regularly have 97% more inbound links, and 45% of marketers report that writing blogs is the most important part of their content strategy. Looking to enhance your brand and digital strategy? Have a look at our infographic on blogging for a better business. The final step towards building a successful business brand is focusing on providing an excellent customer service experience. Your customers can make or break your business, so you should be focused on keeping your promises and creating a consistently positive customer experience. In our increasingly connected and digital world, the reputation and success of a company can easily be damaged, such as the recent case with Kylie Jenner costing Snapchat $1.3 billion in market revenue after the celebrity tweeted in February that she never opened the app anymore. But just as dissatisfied customers will voice their opinion online, so too will satisfied customers, recommending your company to others and increasing the reach of your brand. So how can you build a positive reputation for your business brand? Optimise your website for a seamless user experience. Stay relevant and innovate to your customers’ needs. Be responsive to customer enquiries and comments. And above all, cultivate an association of your brand with honesty and reliability. At TWMG, our team can help you develop unique branding and a successful digital strategy for your business. Amazing post! I really like it, I will be bookmarking and subscribing your future post. I am working on Gold Coast web development and this has been very helpful to my business.